During our recent trip to the Hampstead Summer Festival, we chanced upon a brownie stall. Immediately catching C's attention (she does, after all, have a serious sweet tooth), we decided to stop for a minute and sample some. Stallholder David, one half of the duo "We love Brownies", was friendly and happy to give us sample after sample: something that we both relished. We tried a standard chocolate brownie, salted caramel (A's favourite) and rich chocolate orange, among others, before settling on a couple to buy. 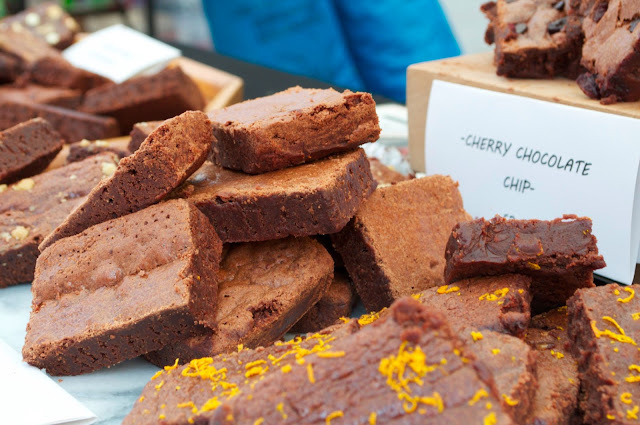 We Love Brownies is a new brownie company set up by David and Darren, and run out of Bourne End in Buckinghamshire. 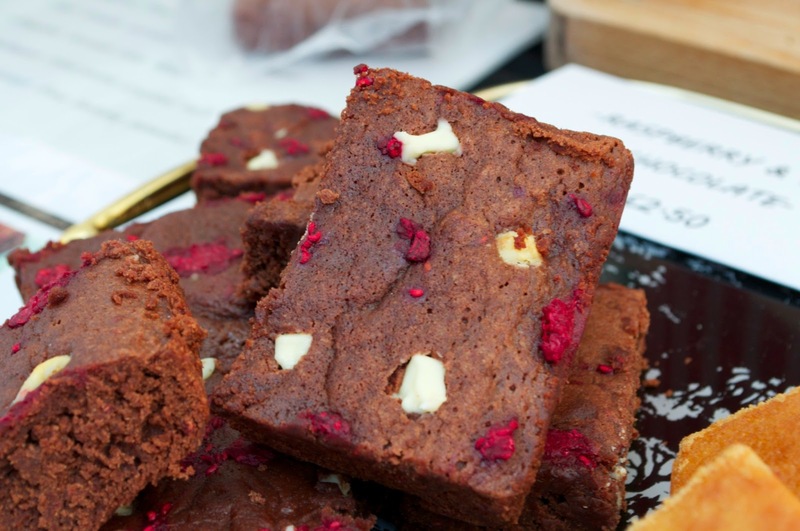 As far as we can tell, their aim is simple: to produce great tasting wheat and gluten free brownies using the finest fair trade and organic ingredients. They sell brownies in a variety of flavours: Belgian Chocolate, Chocolate and Walnut, Rasperry and White Chocolate (all of which are available from their website*) and others. After much deliberation, we tried one salted caramel and one banana and chocolate offering, which narrowly won out over white chocolate and raspberry, which we noshed upon after we'd walked across Hampstead Heath and Kenwood to Highgate. Even though we'd tasted the samples and had an idea of how good the brownies were, it was still a pleasure to tuck in and eat a whole square. 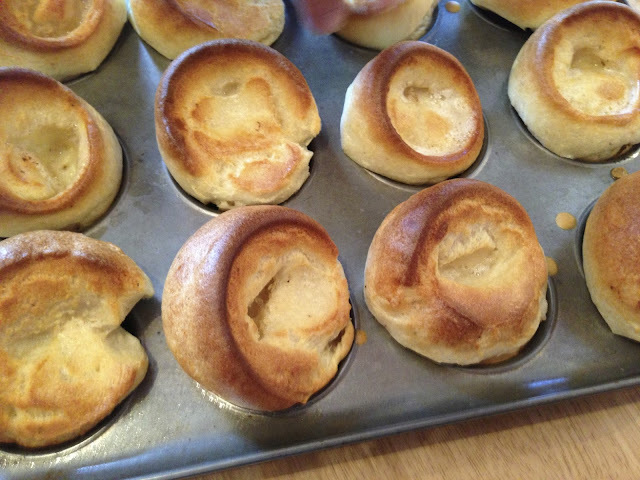 They were delicious, buttery, creamy and chocolatey. The salted caramel was flavoursome, with both the sea salt and the caramel flavour coming through very strongly. C also enthused about her banana brownie after scoffing it down in record time. 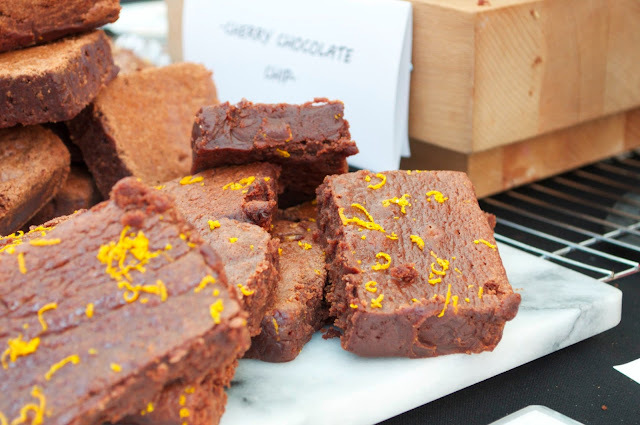 If you see We Love Brownies setting up a stall near you this summer, give their treats a try. While not the cheapest at £2.50 each, they are worth every penny! *David apologised to us and explained that the website is still a work in progress. However, there is some basic information and contact details there, as well as a basic brownie ordering form.